It’s been over two decades since the last book, Harry Potter and the Deathly Hallows, was published, but I think fellow Potterheads can understand why the Wizarding World and its fandom survives to this day. In addition to the spin-off books, the stage play, the theme parks, and Pottermore, J.K. Rowling provides us with enough content to let the Harry Potter universe survive to this day and become a subset of popular culture even years after its release. However, it’s not just the novelty wands and the sorting quizzes that are keeping Harry Potter relevant. It’s also the resounding messages of certain parts of the books that are still applicable to this day. From Hermione’s blood status in the wizarding world, to the way Remus Lupin’s financial struggle is due to everyone’s prejudice of werewolves, to the slave-like treatment of house elves, beyond the mystical and magical is a meaningful reflection of the real world and how we treat the marginalized and the oppressed. 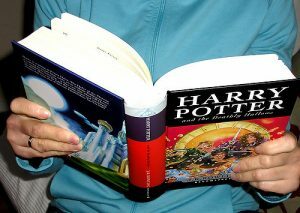 The Harry Potter series exposes us to these topics at an early age, and it comes at a price: studies show that, if you read the series at a young age, you are more likely to be more accepting and tolerant of the marginalized groups and the less fortunate and less likely to be prejudiced compared to the average person who does not read Harry Potter. 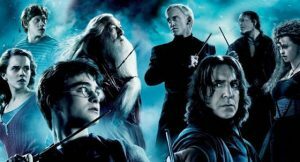 A group of Italian psychologists published an article in the Journal of Applied Social Psychology in 2014 called “The Greatest Magic of Harry Potter: Reducing Prejudice.” Previous research has shown that people who extensively read stories about outgroups (social groups that the reader does not identify as a member) have a more tolerant and accepting attitude towards these outgroups. The researchers wanted to see if reading Harry Potter could improve the way people tolerate stigmatized groups, specifically immigrants, the LGBT+ community, and refugees. The researchers did one experiment with elementary school children and two with a mixture of high school and university students from Italy and the United Kingdom. They found that those who could identify with Harry and disidentify with Voldemort, the main villain of the series, gave the character a perspective that empathized with the marginalized. The findings show that those who have read Harry Potter at an early age were more tolerant and accepting towards minority groups and showed higher levels with empathy. Following previous research, it is probably due to the way Harry has aligned himself with “Mudbloods” (wizards and witches with no magical ancestry) like Hermione and half-breeds like Hagrid. While he was neither of these things, he looked beyond the stigma and prejudice of these terms and associated with them. With Harry Potter raising the millennial generation at an early age, it’s no wonder our generation is straying away from prejudice and intolerance. Compared with previous generations, we’re more tolerant, diverse. In a survey for millennials, MTV found that approximately 89 percent care more about equality and fairness. In a few years, millennials will take over whatever the previous generation left behind. 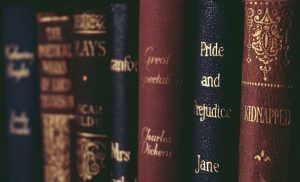 And while it may not be the main influence that drives the generation, the Harry Potter novels could greatly affect its readers and the way they perceive the marginalized. Can Fiction Really Change the Way People Think? Based on previous literature and the movements that followed, it is possible that putting Harry Potter books in schools could make our children more tolerant and empathic. When slavery was legal in the United States, Harriet Beecher Stowe’s Uncle Tom’s Cabin was credited as the book that shifted public opinion and sowed the seeds for the Civil War. It may not have been a main influence for the war, and there is insufficient evidence to prove its role, but today, with over 450 million copies of Harry Potter sold worldwide in various languages, there is evidence that it is changing the way we think. In a 2016 election issue of PS: Political Science and Politics, Professor Diana Mutz of the University of Pennsylvania published the study “Harry Potter and the Deathly Donald?” The study found that those who read or watched Harry Potter had a lower opinion of Donald Trump who was, at the time the article was published, the Republican nominee for the United States President. Using multivariate models and panel data from 2014 to 2016, it seemed that Mutz’s findings were similar to the 2014 study in Italy: those who related with Harry throughout his journey were more tolerant of groups that Trump’s campaign targeted such as immigrants and refugees. According to J.K. Rowling, Remus Lupin’s condition is a metaphor for stigmatized conditions. While she doesn’t confirm it’s about HIV Patients as rumors have claimed, Lupin represents all the stigmatized conditions that lead the public to condemn him or push him away. His werewolf condition – he was bitten as a child by another werewolf who had a bone to pick with his father – was not his fault and yet it became a burden he carried for the rest of his life. It affected his chances for employment and job security as well as the people he socialized with.He even admitted to Harry that it was one of the first well-paying jobs he could get given his position. The moment Snape let slip that Lupin was a werewolf, students’ parents demanded he leave, and he was forced to resign from a job that he enjoyed. 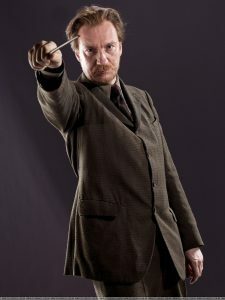 Compared to the first two Defense Against the Dark Arts professors we’ve seen before him, Lupin was arguably the most competent and most capable and he made learning fun for Harry and his classmates. But none of that mattered when students and parents learned of his condition. Because Lupin was a friend to his father and to himself, Harry had grown attached to the closest thing he had to a father figure after Dumbledore, Hagrid, and Arthur Weasley, only to watch him leave because of a problem that was not his fault. And it’s that connection that children read that makes them realize life is not fair sometimes, especially when there are those that hold certain prejudices against a condition. From the moment they meet Harry on Platform 9 and ¾, the Weasleys were clearly never one of the richest families in the wizarding world. Percy, George, Fred, and Ron’s belongings were mostly hand-me-downs from their older brothers. Ron could not afford an owl like Harry could and was given his brother’s rat, and his hand-me-downs and crowded home were always the source of insults from Draco Malfoy. In one scene in The Chamber of Secrets, Ron and Harry’s financial situations were contrasted when Harry could take a bag full of gold from his parents’ vault without worrying about saving enough money for the next year while Molly Weasley had to take every coin in their vault to make ends meet. In fact, later in the book, Tom Riddle’s memory shared Ginny’s thoughts about how embarrassed she was to be carrying and wearing mostly hand-me-downs. Despite all this, Ron’s character arc was never limited to his poverty. Instead, we see a boy who, for all his shortcomings and insecurities about being overshadowed his whole life, stood alongside Harry through his hero’s journey. And you have Harry who, despite knowing that the Weasley’s money troubles are a problem, he does not pity them or try to give assistance when it’s not wanted. Instead, he treats Ron with respect, never once using his financial status against him, and defends him from people like Malfoy. We see this topic in the way many wealthy Slytherins, Death Eaters, and Voldemort himself interact with other witches and wizards. In the series, there is a thing called blood purity which determines how much magical heritage you have. Draco is a pureblood because his family can trace back generations of wizards and witches and have no drop of Muggle (non-magical human) blood. Severus Snape is a half-blood because he has both immediate magical and non-magical parents. And Hermione is a muggle-born because she has no magical heritage, and those that care about blood purity look down on people like her and derogatorily call her “mudblood,” meaning dirty blood. In the Deathly Hallows, once Voldemort and the Death Eaters have taken over the Ministry of Magic, the ministry began rounding up muggle-borns, holding biased hearings, and accusing these muggle-borns of stealing their magic from legitimate witches and wizards with magical heritage. In truth, they are trying to get rid of muggle-borns in an attempt to “purify” magical bloodlines and keep the wizarding race free of Muggle influences. As someone who grew up with Muggle influences and was not raised to think of blood purity, Harry is on the outside looking in and, after being friends with a Muggle-born like Hermione, understands that what the Ministry is doing to oppress people – people who had no say when they gained their magic, for that matter – is wrong. Not just the ministry’s actions, but as early as the second book, when he learned that there would be people like Draco who will look down on people because of where they come from. If young readers could learn tolerance and empathy while reading Harry Potter, what could happen if we gave a generation of students the chance to read Harry Potter? It’s already a part of popular culture and is a well-known series around the world. And while the series is very young compared to the works of Shakespeare and Harper Lee, that’s not a good enough excuse to keep it out of reading lists in schools. 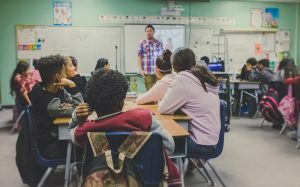 If we educate our young students on the ideas of empathy, prejudice, and acceptance, it could provide the change we need to end stigmas around the world. And in a time like ours, we might just need more empathic people to change society. J.K. Rowling’s Harry Potter series and the rest of the wizarding world continue to be relevant to this day. But it’s not always because of the merchandise, or the spin-off movies and plays, or Rowling adding more lore to the story that fans never got to see. It remains relevant because the lessons still apply to the present and its effects can be seen in the way younger people are more accepting and tolerant of stigmatized and minority groups. Given the state of our world, perhaps it is something we really need, one that will require more than magic to fix.